I have a thread from hobby lobby, and an over priced thread from a super fancy yarn store… In both I’ve come across a flaw that stoops me dead in my tracks…The flaw I’m finding is a little tuft of broken thread in the braid, it’s tiny, seems like you could hide it, but it creats a knot, not allowing the shuttle thread to move freely to close the ring. It’s terrible, have you come accross this, have any tricks? Yes, this is common both in poor quality threads and fancy handmade threads. For most needlecrafts, like crocheting and knitting and the like, slight irregularities in the width of the thread is no big deal, even little tufts of thread here and there. Some really pretty crocheting and knitting patterns even call for thread that is highly irregular, fuzzy, etc. Tatting does not work that way. Slight irregularities in the thread can cause huge problems. 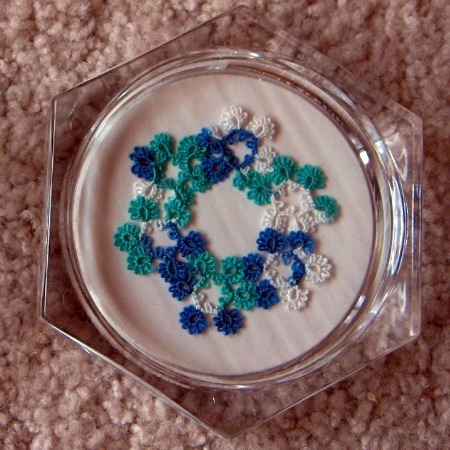 Because the nature of tatting is that you are creating knots very tightly around another (base) thread, and then sliding that base thread through the knots, if there is any extra with in the base thread, it will not slide through the knots. Instead it will get stuck and you will not be able to pull it through. If you pull hard enough, to try and force it through, it may work but more often it will probably break. Trust me, I have much experience with this. That means that when you are buying thread, it is important to get a high-quality thread that is very consistent in width. DMC makes good thread, as well as Lizbeth and many others. 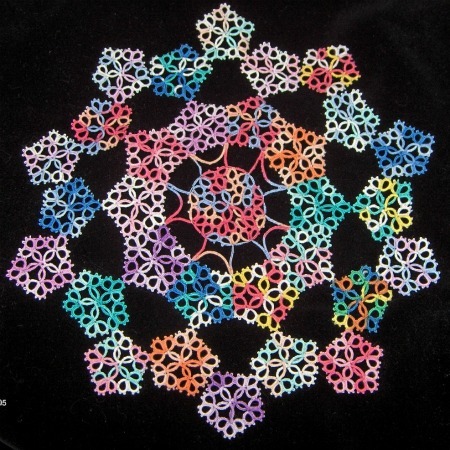 If you buy from a tatting store, which will almost certainly be online, they have a wide selection of threads that are excellent for tatting. Also several experienced tatters have stores on Etsy and other crafting websites, where they buy high-quality undyed threads and dye them in beautiful colors. 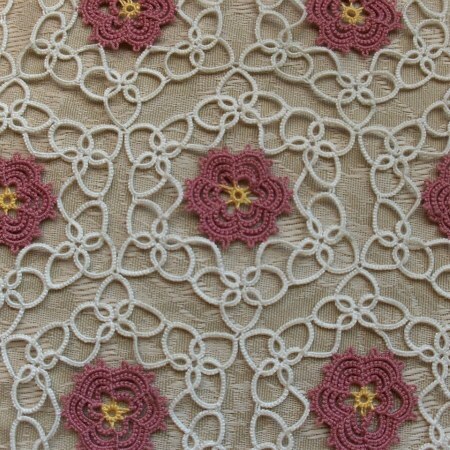 Links to my favorite tatting shops, including thread suppliers, are on the right side of this website.